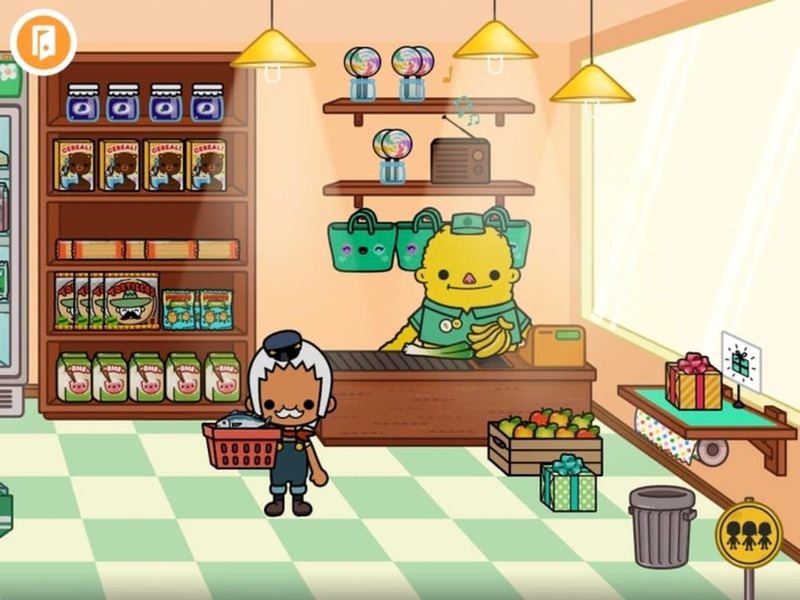 Toca Town is vibrant and fun virtual city game for young kids. 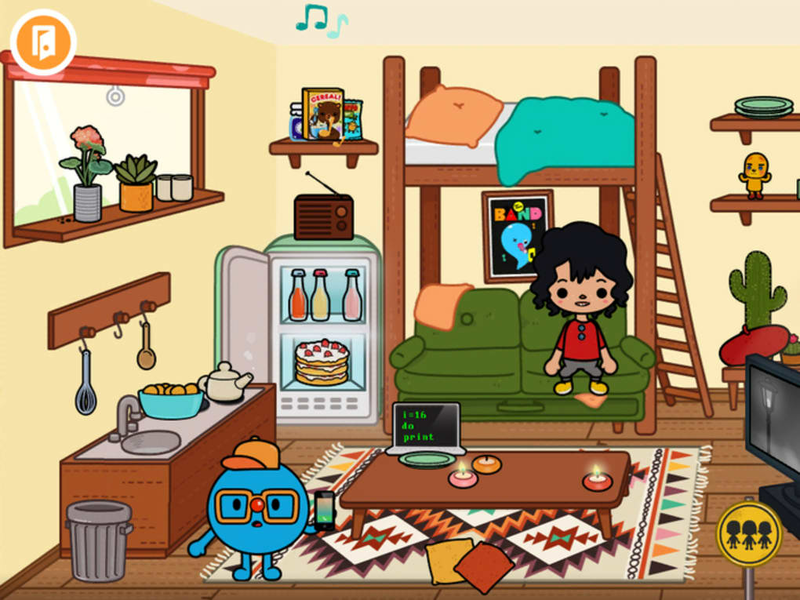 This 'digital toy' gives children the chance to explore a town and have fun with weird and wonderful characters. Who's The Villain? 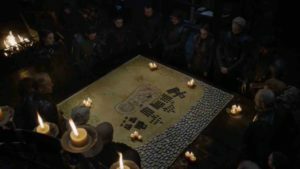 Who Lives And Who Dies? The Town Votes. So it's The Sims for pre-schoolers? 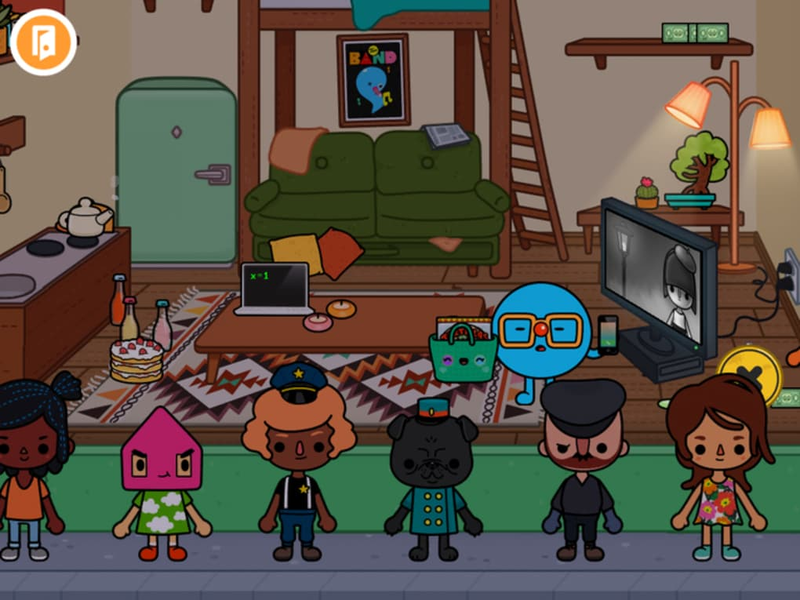 Toca Town is an open world game where you interact with the residents of a virtual city. So, in this respect, it's like The Sims series. However, that's where the similarities end since Toca Town has no real objectives. There's no levelling up, no building, no locked items, and best of all no obligation to clean your house! No, Toca Town is purely about kids having fun and using their imagination without being limited by a gameplay model. There's plenty to do, too. There are six different locations to visit and play in, including houses, a restaurant, store, and police station. 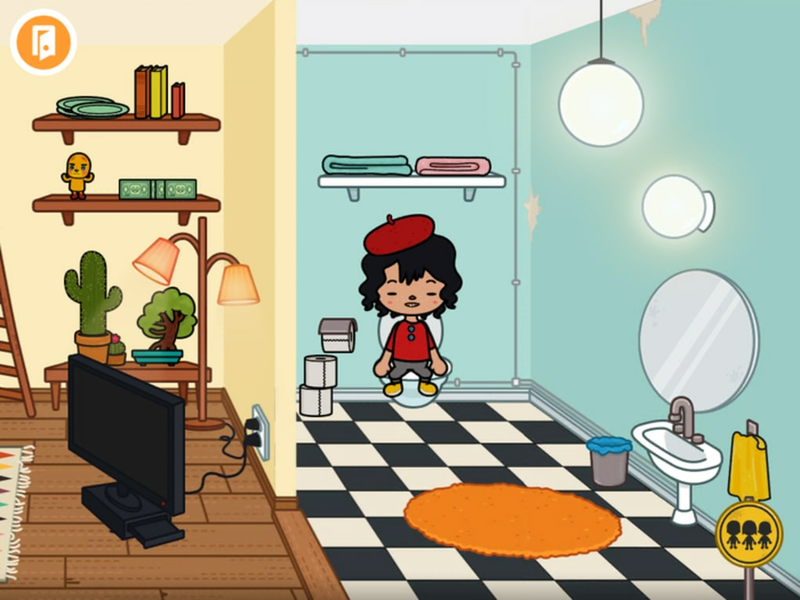 In each place you can pick up almost any object and move it around, as well as interacting with elements like faucets, lights, and cookers. 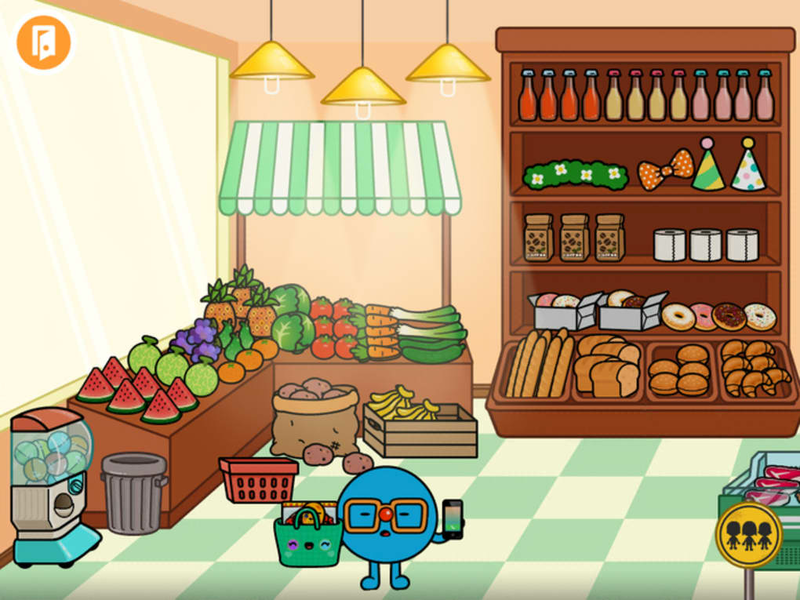 You can experiment with stuff in each of Toca Town's environments to cause certain reactions. 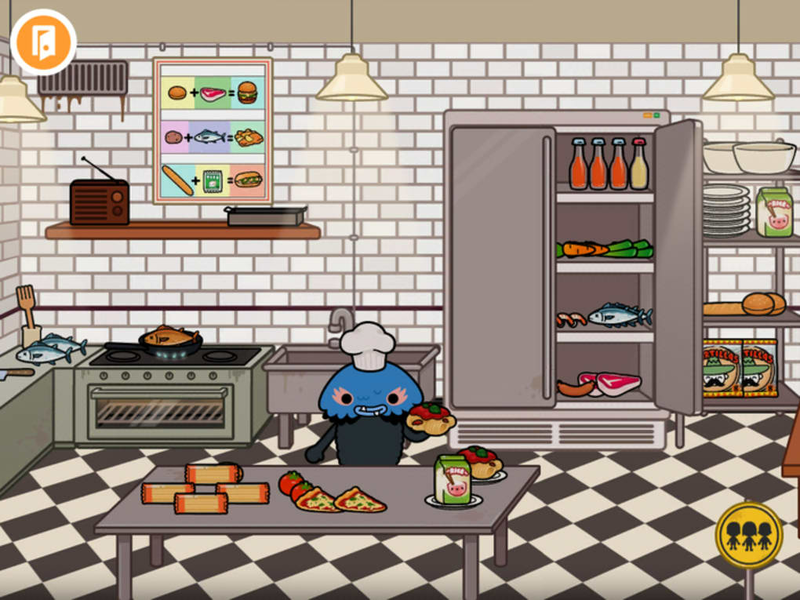 For example, you can make meals in the restaurant by combining certain foods together, or wash the car in the police station using the soap and sponge. These are fun for kids to discover and helps them learn how to figure stuff out through experimentation. I only wish there were more things to combine and interact with. 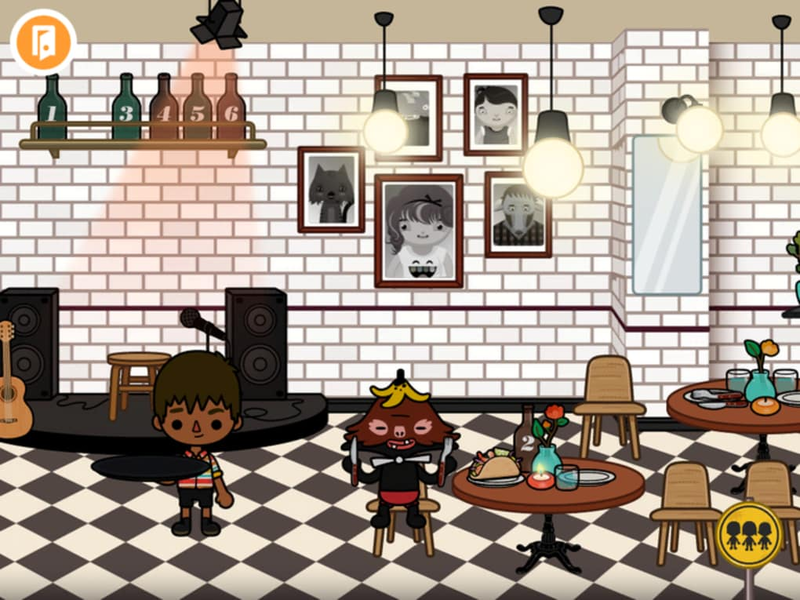 Just like objects in the game, characters in Toca Town are static and are moved around manually be the player. 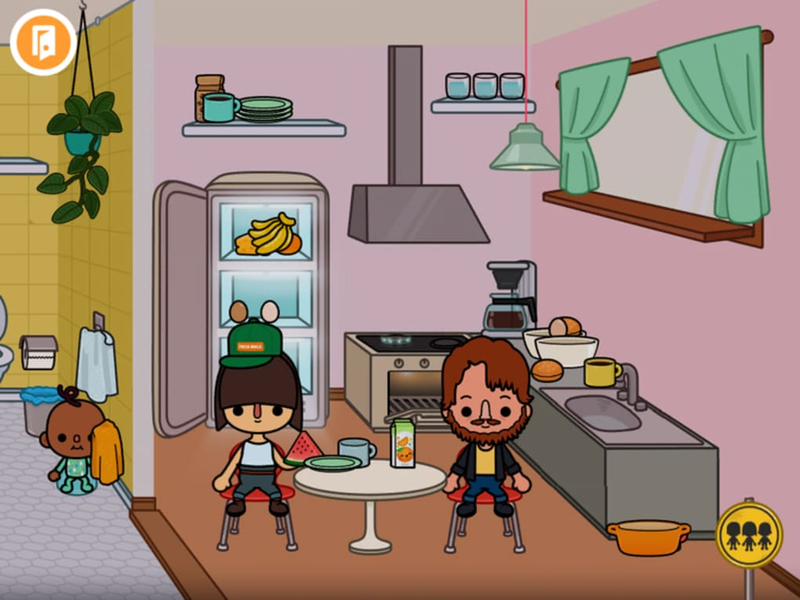 There are certain things you can do with a character such as feeding it, making it sit down, or putting it on the toilet. Again, however, it would be nice if there were more things you could do. 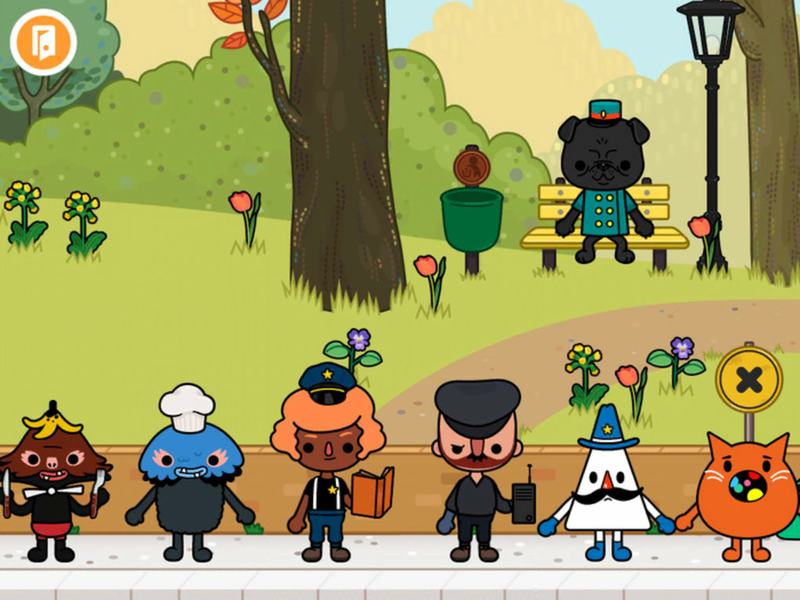 Ultimately, Toca Town is designed to stimulate kids' imaginations and there's enough in the game for them to mess around and happily play for long periods at a time. Just the fact that they can leave all the taps running in the house, flush plates down the toilet, and put DVDs in the oven will be enough of a thrill for most young kids. 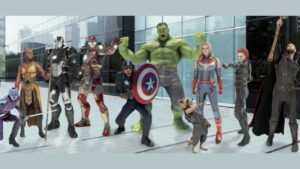 You can dress characters up and move them easily from place to place, transporting anything they happening to be carrying to that location with them. 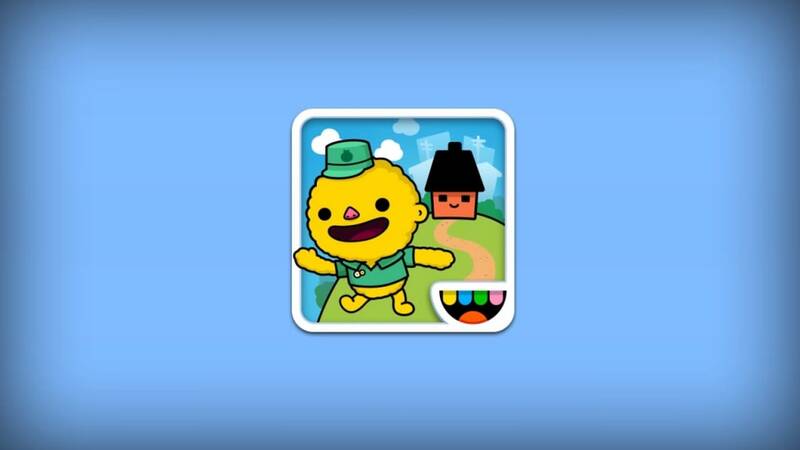 The look of the game and its characters is classic Toca Boca. 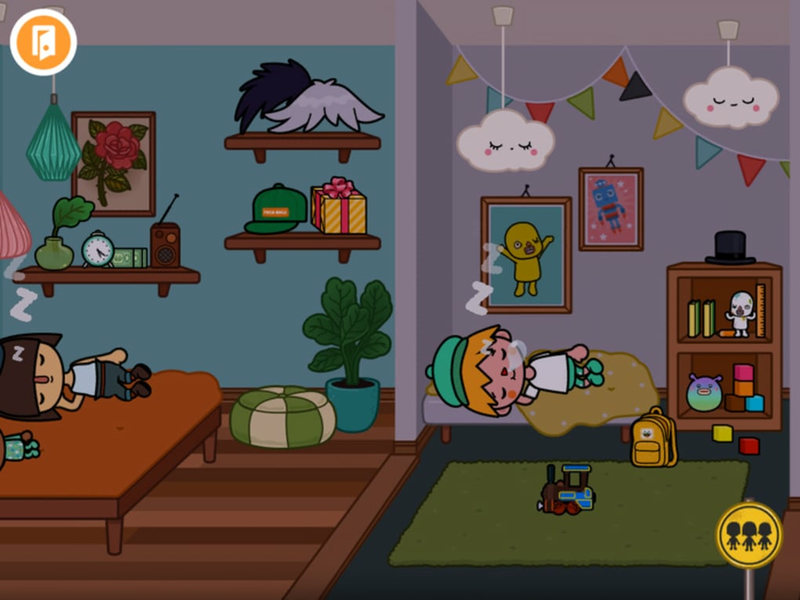 If you enjoyed the wacky cartoon style of games like Toca Hair Salon or Toca Pet Doctor, you'll find Toca Town an inviting place to be. 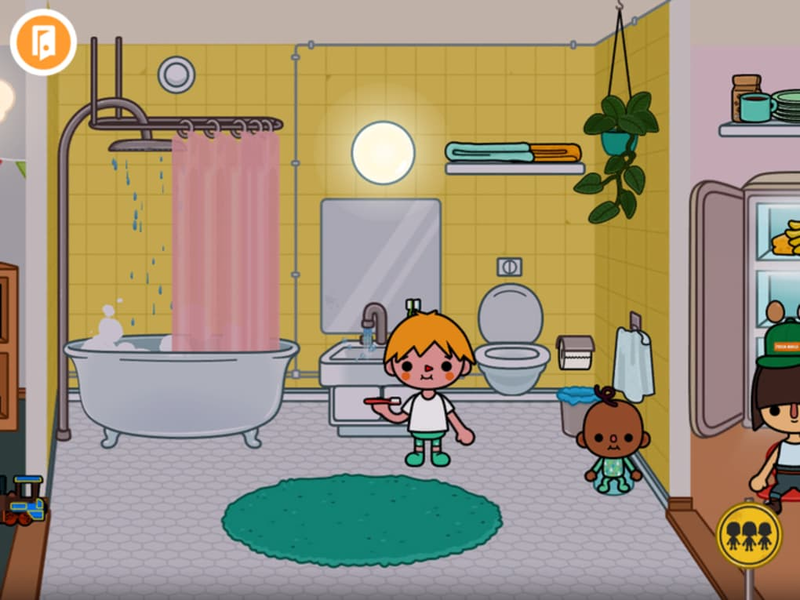 It's not all about cute colorful characters though, and there are some genuinely refined touches in the design of Toca Town. 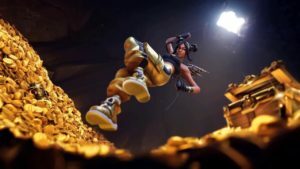 For instance, if you drag the radio around the room while it's playing the stereo effect changes, making it seem like the sound is coming from a different place. Lighting too is very accurate and kids will love experimenting with the way the light changes by flicking off lights, blowing out candles, and opening blinds. 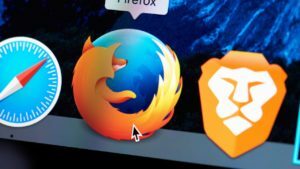 It can be tempting to leave your child playing a computer game to keep them quiet for a while. Often these games can be mindless or overstimulating. Toca Town is definitely not this type of game. It's wholesome and challenges kids' imaginations in a positive way. Recommended for anyone with young children. Enjoy a pet cat without ever changing a litter box! 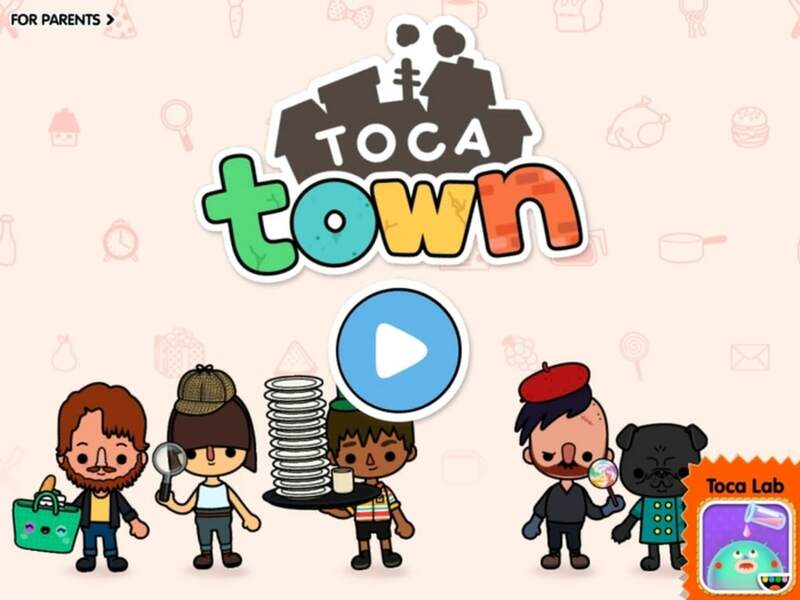 What do you think about Toca Town for Windows 10? Do you recommend it? Why?